Harana is a way of courting a woman through serenading her. The man would ask his friends to accompany him in visiting the woman he likes. 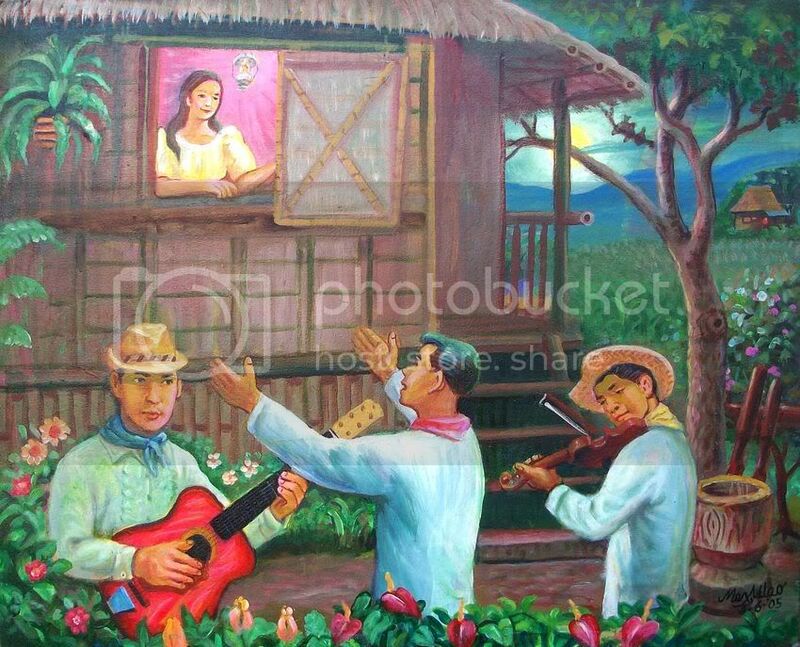 Together, they play instruments and sing songs of love and affection, called Kundiman, outside the woman’s window or balcony. This was often seen as a romantic gesture because the man is publicly displaying his devotion to his beloved. Although the tempo of a Harana is generally much slower, classic Harana songs have followed the rhythm of the Spanish tango or habanera; demonstrating the strong influence of Spanish culture on Filipino Music. Today, the traditional Harana is still being practiced in rural areas. However, many have modernized this courtship technique by singing songs from popular culture instead. One famous rock band, Parokya ni Edgar, has even popularized Harana by making it the title of their much beloved 90s hit track.